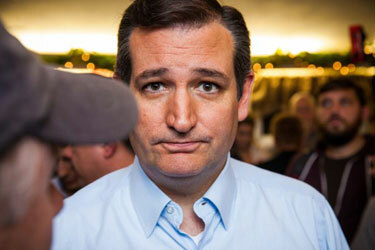 Ben Domenech, at the Federalist, explains that Cruz’s unexpected move was indeed a calculated and prudential sell-out. [Cruz’s change of position] came due to those who had been some of Cruz’s most prominent backers. The Mercer family and Peter Thiel played critical roles in elevating Cruz from a virtual unknown in the state of Texas to knocking off a popular Lieutenant Governor in an extremely competitive primary. Now they are prominent backers of Donald Trump, and the threat of a well-backed primary campaign for Cruz in 2018 was increasingly real, with Rep. Michael McCaul and former Gov. and DWTS star Rick Perry showing themselves to be very competitive against him. Cruz’s former media backers had turned on the populist, and the potential for a well-backed challenger against Cruz in Texas was real. Had Trump lost narrowly to Hillary Clinton, as seems the likeliest outcome today, the timing of Cruz’s race would’ve made him public enemy number one among the Trump crew. A move by Ted Cruz to endorse Trump in Cleveland wouldn’t have satisfied anyone already opposed to Cruz, but it would’ve seemed like par for the course among all the Republicans who’ve lined up to back the nominee, which now includes all the candidates this cycle except for Jeb Bush and John Kasich. The move to endorse now seems ideologically baseless, because it is. It seems like an act of political self-defense, because it is. And it seems opportunistic, because it is. The problem isn’t that Cruz failed to endorse a Constitution-loving conservative, it’s that most of Trump’s followers either don’t care about those things or know in their minds it’s not true yet support him anyway. 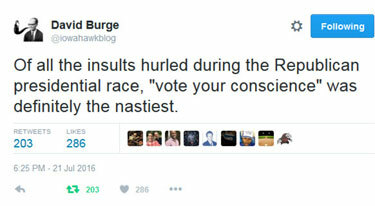 Rush yesterday described a futile attempt by Ted Cruz in Indiana to reason with a “brain-dead” Trump supporter. 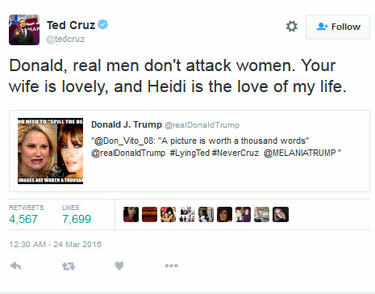 He had no desire to engage Cruz. Cruz was being polite. He crossed the street, wanted to engage the guy in conversation about issues. I literally was cringing when it happened; I cringed when it was over. Because it wasn’t gonna work. And the audio was such that even if Cruz was trying to create something viral that could be on social media that would show him politely and graciously encountering a Trump supporter and explaining the issues (and hoping that that would go viral), it didn’t have much of a chance ’cause the audio wasn’t good enough for that to happen. All the Trump people were shouting this or that, encouraging this guy. “Trump! 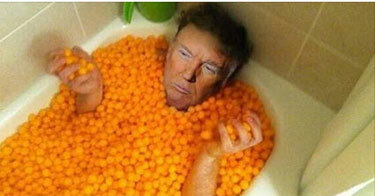 Trump! Trump! Lyin’ Ted! 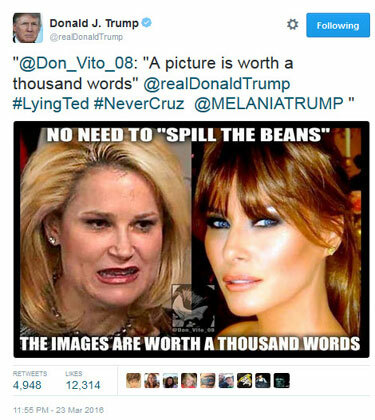 Lyin’ Ted!” You know, Cruz was polite. He was everything that you would want somebody to be, and he’s being mocked and laughed at and made fun of as a square, as a nerd, as a loser or what have you, which is exactly right in line with what’s happening in our culture today. It is the renegades, and it’s been this way for a long time. The renegades and the — well, however you want to characterize them. The people that do not stay within the guard rails of reality, they’re the ones that are celebrated and praised. They get rich. They’re made heroes. We’ve made celebrities out of them, and people that don’t do that are just dull and boring and dryballs and usually tagged as conservatives or what have you. So I was not calling all Trump supporters brain-dead. You’ve heard me talk about the Trump people. You’ve heard me lionize the Trump people. You’ve heard me, on this program, celebrate the Trump people and explain to people why certain people behind Trump support him. This guy was no different than a Code Pink protester, and so that’s that. I’m sorry. I wasn’t able to separate the personal experiences I’ve had just like that over the course of my career, and I knew it was gonna work when I watched it happening and I watched the replay. I knew it wasn’t gonna work, and frankly there’s a part of me that still — even though I know the drill and I know the lay of the land and I know the reality and I’m the mayor of Realville. It still bugs me when doofuses like that end up the winner in a circumstance like that. But welcome to America 2016, or whatever it is. You know what Ted Cruz’s wife is going to look like in 20 years? You know what Donald Trump’s wife is going to look like in 20 years? Who knows? She hasn’t been born yet. Which One Would Make the Better President? If you were thinking of supporting Trump, just watch this and see what an ultra-liberal democrat has to say. Via Morning Joe: Ted Cruz’s latest anti-Hillary ad, 0:51 video. 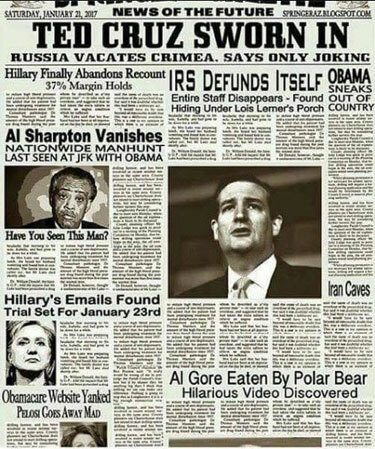 the Archives of Never Yet Melted in the 'Ted Cruz' Category.